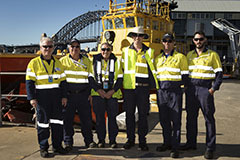 Port Authority of New South Wales (Port Authority) manages the navigation, security and operational safety needs of commercial shipping in Sydney Harbour, Port Botany, Port Kembla and the ports of Newcastle, Eden and Yamba. the dangerous goods regulation contained in Part 11 of the Dangerous Goods Regulation 1999 (which, although repealed, is preserved by other legislation). Port Authority manages and operates the ports at Glebe Island, White Bay, Eden and Yamba and has the role of Harbour Master in all NSW ports. 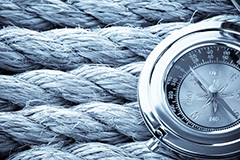 Each Harbour Master is appointed under section 85 of the Marine Safety Act 1998 (NSW). 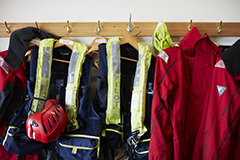 The general function of a Harbour Master is outlined in section 88 of the Marine Safety Act and can be summarised as having ‘powers to direct and control the movement, entry and exit of vessels within port areas’. Port Authority is also the lead agency for responses to maritime incidents in coastal waters stretching from Fingal Head, Port Stephens to Gerroa, Seven Mile Beach, south of Port Kembla. Port Authority owns and manages common user berths at Glebe Island, White Bay and the Overseas Passenger Terminal. Port Authority also provides land on long term lease adjacent berths on Glebe Island. Sydney Harbour cruise facilities at the Overseas Passenger Terminal, at Circular Quay and White Bay Cruise Terminal are owned and managed by Port Authority. 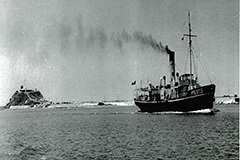 Port Authority’s statutory objectives and functions are derived from the provisions of the State Owned Corporations Act 1989 (NSW), Ports and Maritime Administration Act 1995 (NSW) and the Port Safety Operating Licence issued under section 12(2) of the Ports and Maritime Administration Act 1995. The Statement of Corporate Intent 2018-19 is available here.